County Final Breakfast Morning This Sunday !! Join the Rhode Senior Footballers For a County Final Breakfast Morning in the Rhode GAA Parish Hall on Sunday October 8th with Full Irish Breakfast served between 9am & 10am . Rhode take on Clara in the Offaly Senior Football Final on Sunday 15th of October at 3:30pm in Bord Na Mona O’Connor Park Tullamore. Everyone from the parish especially our under-age players from Rod Og and Rhode Ladies are invited to attend the meet and greet on Friday 6th of October at 7:30pm to support the Senior Footballers and their Management Team as they get ready for the County Final. Presentation of U,13 Team Leinster Winners Medals will be made by the Senior Team. Rod Og are holding a fun fundraiser to raise money for the up keep of our under-age teams and to further their footballing abilities on Saturday October 28th 11:30am . Its a day of fun also enjoy the thrills and spills of the Croghan Hill Challenge Adults @ €20. Students (over 16) @ €10 All participants will be entered into a free draw for great prizes. 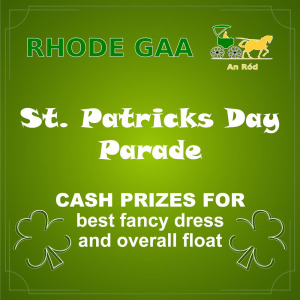 On the Saturday night there will be live music, raffle and refreshments from 9pm in O’Toole’s’ Lounge Rhode. For Further details contact Rod Og Club Contact Tracey Murphy 087-2664435. Stephen Darby 086-8452132 .A Pre-registration evening will take place in Fr.Dowling Park on Friday 6th at 7:30pm. 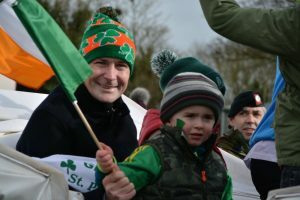 On Saturday last Rhode played Mullingar Shamrocks in a challenge game in Fr.Dowling Park where an exhibition of football was giving by both teams and final score was Mullingar Shamrocks 6-6 Rhode 3-13. A massive well done to the lads on a great game and their management team. Thanks to Mullingar Shamrocks for travelling up. A word of thanks to the parents who made sandwiches and served up refreshments on Saturday with a special thank you going to Regina Swaine. Team: Joshua Kellaghan, Ethan Hannon, Liam Walsh, Cian Cocoman, Sean Daly, Cameron Egan, Matt Heavey, Noah Swaine, Ben Kennedy, Ryan Murphy, Ross Kellaghan, Gavin Murphy, Charlie Cullen, Ryan Quinn, Billy Quinn, Nathan Glennon, Dylan Kilmurray, Jamie Glennon, Eoghan Kiilmurray, Eoin Murphy, Tadhg Swaine, Leon Kilmurray. Our U,8s travelled to the faithful fields on Saturday last to to take part in a blitz where they played Shannonbridge, Tullamore and Ferbane where they gave an excellent display of football . A massive thank you to the management team, Parents and especially our u,8 boys for an excellent year. Very best of luck to David Hope & Noel Murphy who are in the 60/30 finals in Limerick on Sunday 8th of October at 1pm in Limerick . 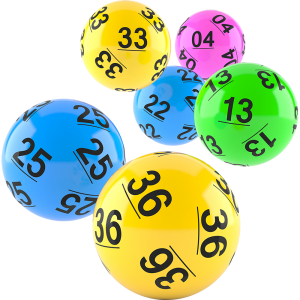 There was no winner of the Rhode GAA Lotto Draw that took place on the 25th of September for a Jackpot of €15,000. The numbers drawn were 9 14 23 25. The club would like to thank all those who supported the draw and thanks to O’Toole’s for the use of their premises and for their help and cooperation. The following matched three numbers and received €35 each. Deepest Sympathy is also expressed to the Galvin Family on the passing of Joe Galvin Barrysbrook . Joe will be sadly missed by his loving wife Bridie. Sadly missed by his family Margaret, Michael, Patrick, John Paul (RIP), Christopher, Siobhan and Patricia, brothers Mick and Paddy, sister Dina, cousins Phil and Johnny, sons-in-law, daughters-in-law, brothers-in-law, sisters-in-law, grandchildren, nieces, nephews, relatives and friends. Joe’s Funeral mass took place on Friday midday at St.Brigid’s Church Croghan which was followed by burial to Croghan Cemetery.